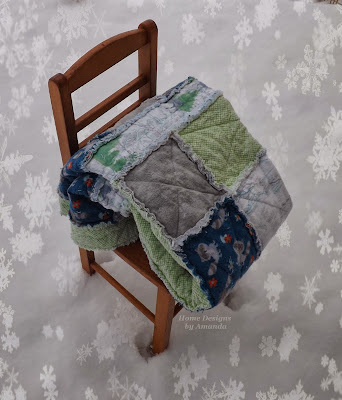 Another Christmas present review... this soft, snugly blanket was made for our nephew. He turned a year old a few days before Christmas, which was what this present was originally meant for :) but I hadn't had the chance to make it! 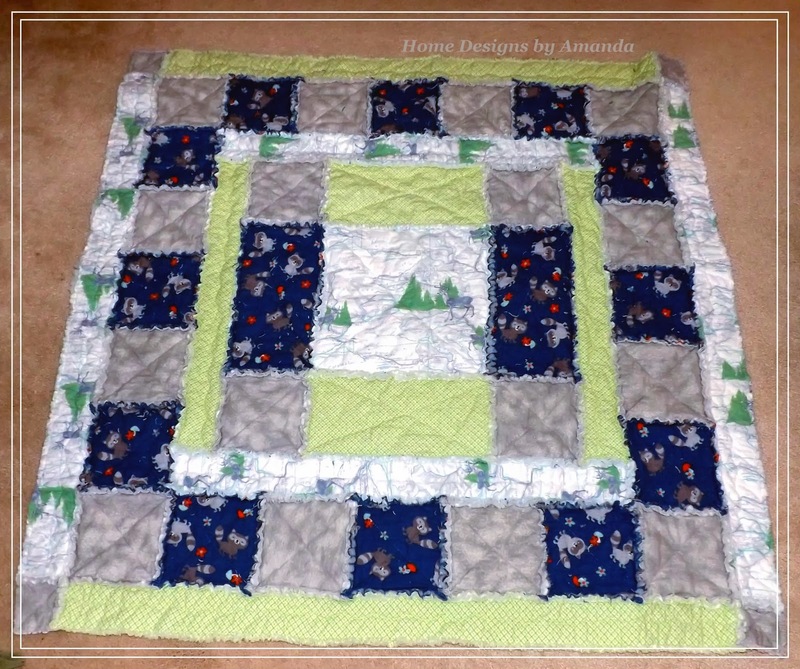 So, he received his intended Christmas present for his birthday...and I used the much need couple days in between to make the quilt...which he in turn received for Christmas! Thankful to my wonderful husband who took care of snipping all the edges of the rag quilt for me while I wrapped presents on Christmas Eve! Have you completed any quilts lately? This is so cute and cozy looking, and I love the colors. 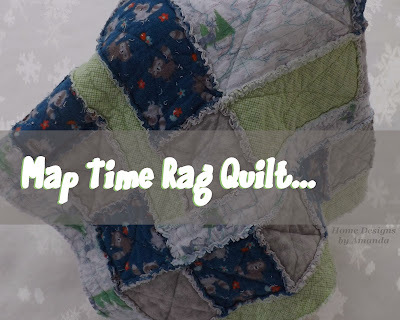 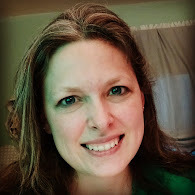 I've thought of making rag quilts before but I've read they make an awful mess in the washer and dryer with threads and lint. 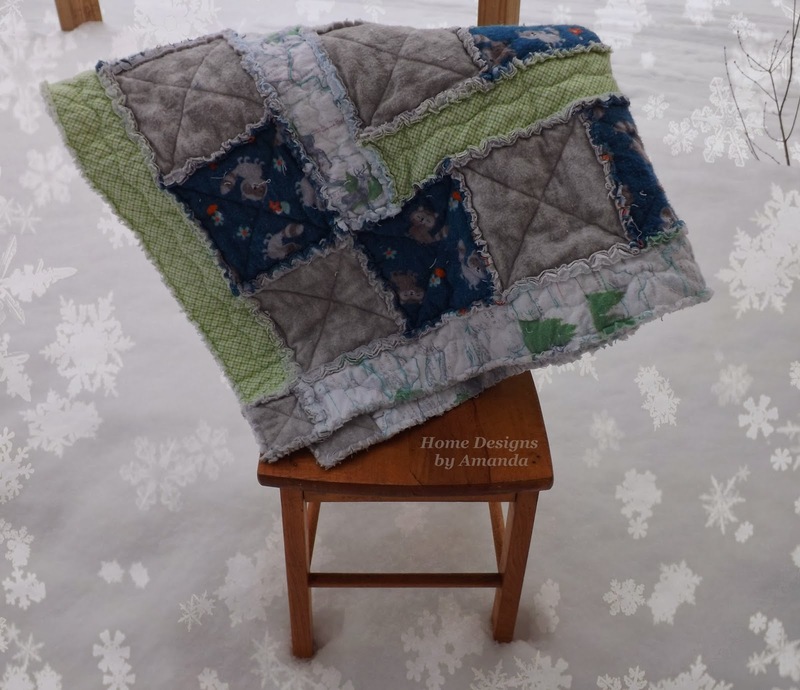 Maybe the smaller quilts don't?